Today Axum is a town in the province of Tigre, where the glories of the past remain. The 67 foot high obelisk, carved from solid granite with massive pillars and the Taka Mariam Palace are evidence of Axum's ancient and glorious past. The spirit of the queen of Sheba's existence in ancient Axum seems to linger in traditions of the Old Testament. A priest still performs services before the Ark in modern Christian Ethiopia. The Ethiopians (Thebans) were the first peoples' that lived on earth the only and first race, to institute worship of the Gods and the rites of sacrifice. They were the objects of worship by the nations that appear civilized at the dawn of History (i.e. – India, Greece, Rome, Persia etc.). Baldwin in his book Prehistoric nation states “…The foundations of ancient religious mythology, institutions and customs all had the same source.” He considered the Chaldean and Egyptian civilizations as very old but the cultural and political organization of Ethiopia was much older. According to the writer’s testimony, "...Asia did not originate civilization; it brings civilization – from the Eritrean Sea." the church is the people and the people the church and the government is of the people.. When the person does good, the Angels of Light will be closer to them, and the Angels of Darkness stay 40 Kind [about twenty meters] behind. When the person does bad, Angels of Darkness stand closer to him and Angels of Light stand 40 kind [about 20 meters] away from him. The Egyptian Coptic Church, which today appears to be the Mother Church, derived its civilization and religion from Ethiopia. The country itself was a colony of Ethiopia. Geographically speaking at the beginning of the world Egypt was not a part of the continent but a sea. Later it was formed and made land from the mud carried down from Ethiopia by the river Nile. Ancient historical books of Sanskrit in India states that civilization came to India from Ethiopia before Egypt, and these ancient books mention the names of old Cushite Kings that were worshipped in India. Indranikos (Indrana) was called god of the Hindu and King of Ethiopia. After him, Deva and Nahusha (Nahusanay) are mentioned. The nations of the Ancient East looked for a second Adam. They expected him to come from Ethiopia or of an Ethiopian lineage. David in his book of Psalms 87:4 says “…I will make mention of Rahab and Babylon to them that know me; behold Philistia and Tyre with Ethiopia; this man was born there.” Daniel 7:9 speak of him as “the Ancient of Days and the hair on his head was like pure wool”. Even the ancient Greeks knew Homer sung his Iliad “ Jove to the Solemn Banquet gone, Beyond the sea, on Ethiopia’s shore; He thought it not disdain to grace, And dined with Ethiopia’s blameless race.” Whether in the name Jehovah, Jupiter, Jove or Eyesus the nations of the Ancient expected the coming Messiah. The Ethiopian Line of Christ, the Ancestors of Eyesus Kristos were of the Ethiopian Race. Josephus states “ …Canaan the fourth son of Ham settled the country now called Judea and called it from his name Canaan and that Ragmus the son of Cannan had two sons one of which was Judadas and his descendants were called Judadean”; They were a nation of western Ethiopians. The name Judadean in short is Judeans or Jews. The Hamitic and Semites were one and the same people the Jews were a direct branch of the Ethiopian Race. King Solomon was a black man; he was the son of David by a Canaanitish woman. He speaks of himself in the Songs of Solomon: “I am black but comely O ye daughter of Jerusalem, Look not upon because I am black, because the Sun has looked upon me.”(Songs of Solomon 5:6). From the direct lineage of David comes the Christ the second Adam a Black man and Messiah: The Lord Eyesus Kristos Medhane Alem (Saviour of the World). In the beginning of the brilliant era of the Egyptians, in the 4th Dynasty was the true Ethiopian Pharaoh Khufu, builder of the great Pyramid and the temple of Isis. Amenemhet I who established the Twelfth Dynasty is also mentioned as a great Ethiopian leader of the Middle Kingdom. It was said that Theban glory began during this Monarch’s reign. After him Amenemhat II, Usrtesen I, and Amenenhet III were Ethiopian Pharaohs. In Dynasty XVIII (1575- 1562 B.C) Thothmes I was an outstanding King. He was the first of a long line of conquering Pharaohs. After him Thothmes III is mentioned. During his 54-year reign Egypt became the center of Trade and Commerce. Thothmes III’s domain extended over Syria, Mesopotamia, Arabia, Armenia, Nubia etc., he was a builder. Under his son’s leadership Amenhotep II, the Egyptians captured Nineveh. Then Amenhotep III and Amennophis IV are mentioned this was Dynasty XIX (1400-1280 B.C). Other Ethiopian Pharaohs of this Dynasty are listed Ramses I and Seti I, who restored the waning glory of Egypt and Ramses II who reigned 67 years. He had 59 sons and 60 daughters. The Ethiopian Tradition also mentions Sabaco and Tirhakal at this dynasty. In 800 B.C Pianki made Thebes a simple province and the ruling power was at Aksum. It was during Tarkaka’s reign that Egypt was conquered by the Assyrians. In 660 B.C Psammeticus of Libyan origin opened the door to foreigners especially the Greek. Then Egypt became the victim of Persian Conquerors. By 332 B.C Alexander the Great visited the country only to end the African Glory. Amongst the Thirty Dynasties of Egypt the Fourth, Twelfth and Eighteenth Dynasties were the great Periods of Ethiopian Pharaohs. 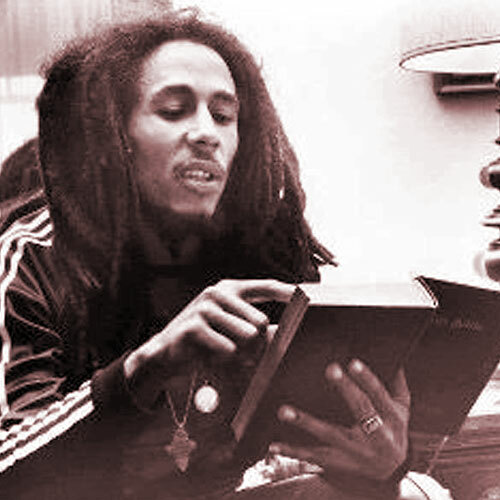 Throughout its history in Jamaica, the Church suffered greatly because it came to the Rastafarian faithful whose desire is to motivate their lives through the church. © E.O.C Ocho Rios JA Copyright 2017. All Rights Reserved.